Scandic’s President & CEO, Frank Fiskers, today received the prestigious HotCop 2015 award for Scandic’s successful acquisition of the Norwegian hotel chain, Rica Hotels. 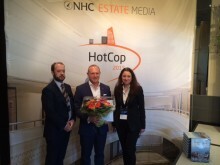 The prize was conferred at the international HotCop conference in Copenhagen by Nordic Hotel Consulting and Estate Media. 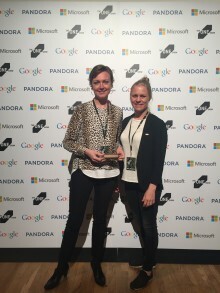 Scandic To Go, the mobile hotel room, was awarded a Bronze Pencil in one of the world’s most prestigious creative competitions, One Show, in category Design: Experiences – Brand Installations. The award was given out on Thursday in New York. 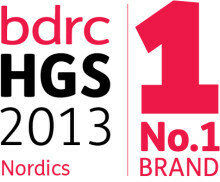 Scandic came in first place in the annual BDRC survey in which more than 2,450 hotel guests value hotel brands and rank the chains they prefer. The distinction just goes to show that Scandic’s wide-ranging initiatives are appreciated by guests. The Scandic Group has received yet more recognition for its hotel business in Germany in the form of the annual Swedish Enterprise Award, which is given to Swedish companies with operations in Germany. The aim of the award is to strengthen German-Swedish business ties and it is issued jointly by the Embassy of Sweden, the Swedish Chamber of Commerce and Business Sweden.